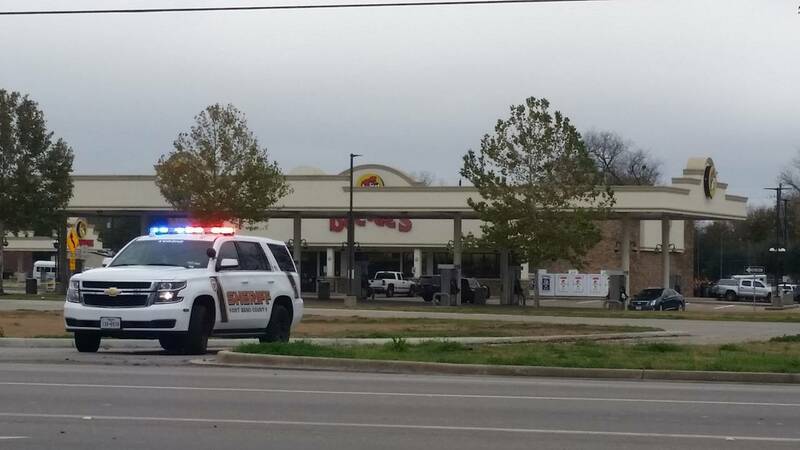 RICHMOND, Texas - A man is facing charges after a police standoff outside a Buc-ee's in Richmond on Saturday afternoon, according to Sugar Land police officers. The standoff was reported at noon in the 1200 block of Crab River Road. Police said an off-duty officer attempted to pull over the driver of a vehicle during a road rage incident in Houston. Police said a woman and two children were also inside the vehicle. The driver led the officer to a Buc-ee's in Richmond, got out of the vehicle and waved a weapon at the officer, police said. Sugar Land police and Fort Bend County sheriff's deputies were called to the scene when the man refused to negotiate. Police said a woman and two children voluntarily got out the vehicle safely. Police said the standoff took place for several hours. The off-duty officer said he did not want to press charges, police said. The driver was not taken into custody, and police said he will be able to leave the scene. Police said the Sugar Land Police Department will charge him with evading. The off-duty officer works in Eagle Lake, Texas.